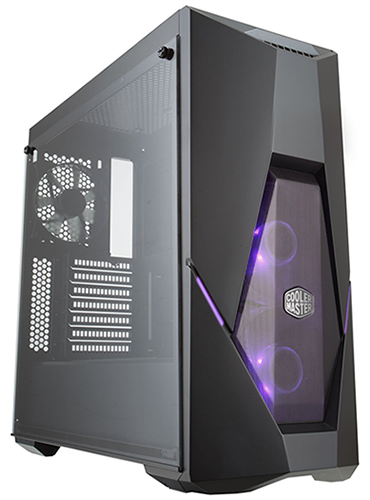 Cooler Master has been busy updating its chassis product line in 2018, and amid the numerous new additions, it has high hopes for the MasterBox K500. 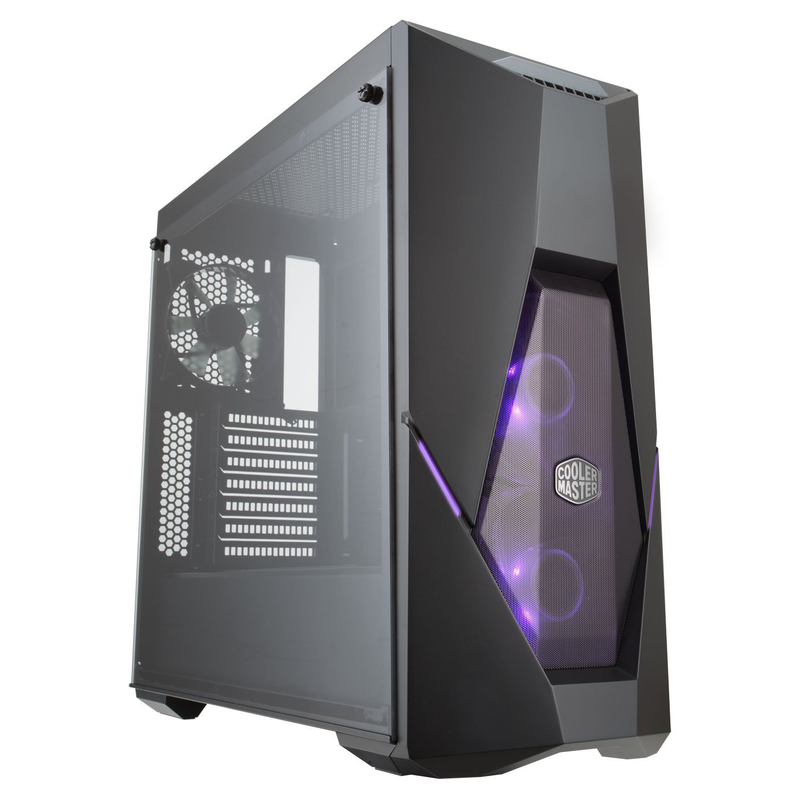 Designed to offer gaming appeal at a £75 price point, the mid-tower enclosure is Cooler Master's interpretation of what today's PC gamers are looking for in a mainstream case. Given the industry trends that have developed in recent years, it is no surprise to find that glass and RGB lighting are key selling points. 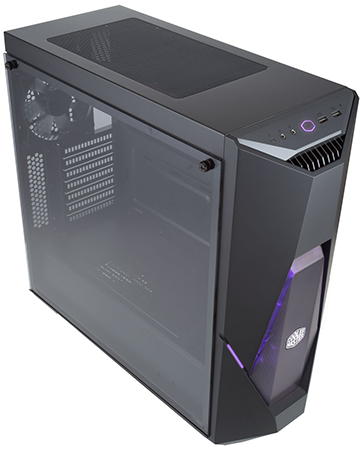 MasterBox K500 flaunts an "edge-to-edge," 4mm-thick tempered glass side panel that is lightly tinted and held in place by a bottom hinge and two top thumb screws. It's a sure-fire way of adding an extra layer of elegance and will suit those who want to show off their hardware. And showing off really needs to be high on the list of priorities. 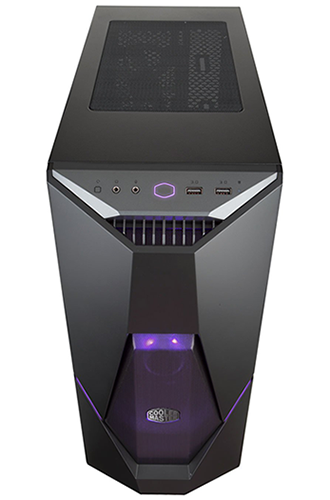 Of the three bundled 120mm fans, the forward duo is RGB units whose illumination is accentuated by a pair of lighting accents on the front panel and an RGB-backlit power button. 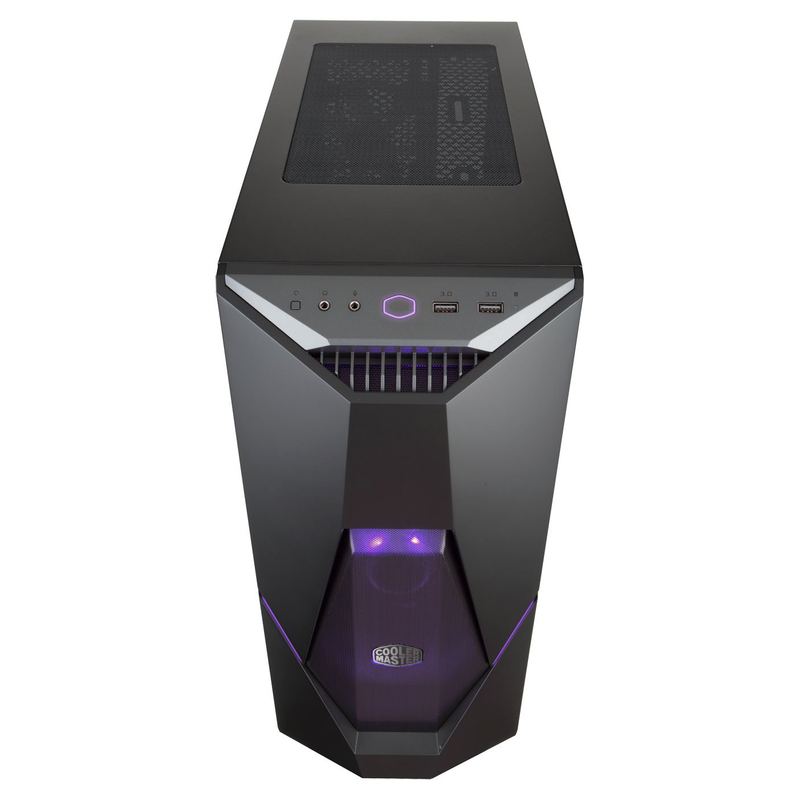 In person the effect looks pretty good, provided lighting is your thing, and Cooler Master touts compatibility with motherboards from Asus, Gigabyte, MSI and ASRock, ensuring easy synchronisation with other hardware. Outside of the glass and lighting, the case's appearance is something of an acquired taste. It's a petite (491mm x 211mm x 455mm), all-black box when viewed from the back, but there's no two ways about it, you'll either love or hate the aggressive angular sections adorning the front fascia. It's not our cup of tea, though we do like the fact that the central section is shaped mesh, allowing for good airflow and, of course, a better look at all those lights. 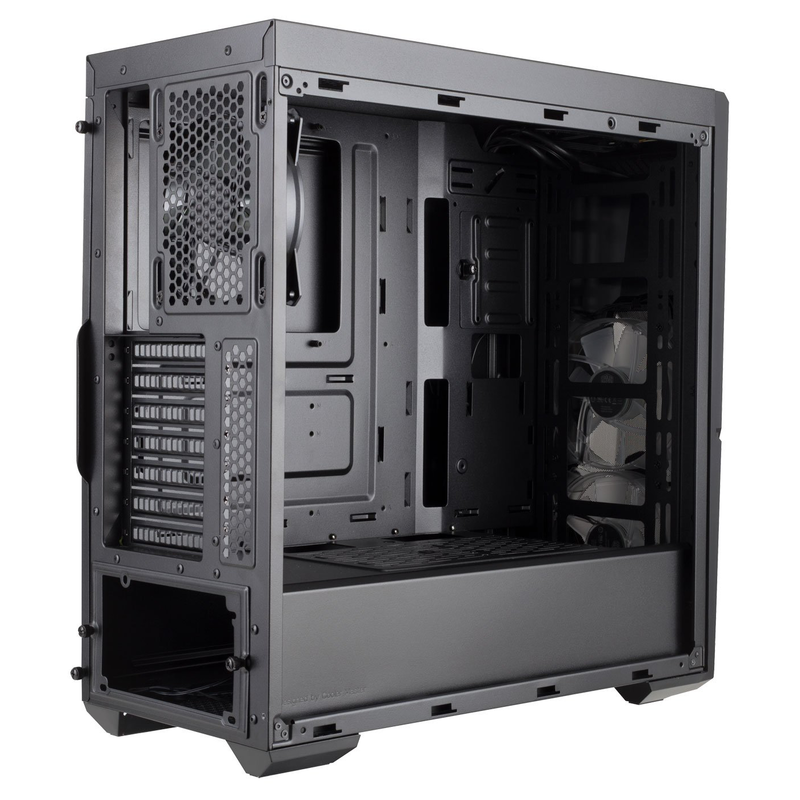 MasterBox K500's overall layout and build quality is for the most part in line with our expectations of a modern case at this price point. A PSU shroud covers the bottom area, keeping cable clutter hidden from view, and there a half-a-dozen available fan mounts; 120 at the back, two 120s up top and either three 120s or two 140s in the front. 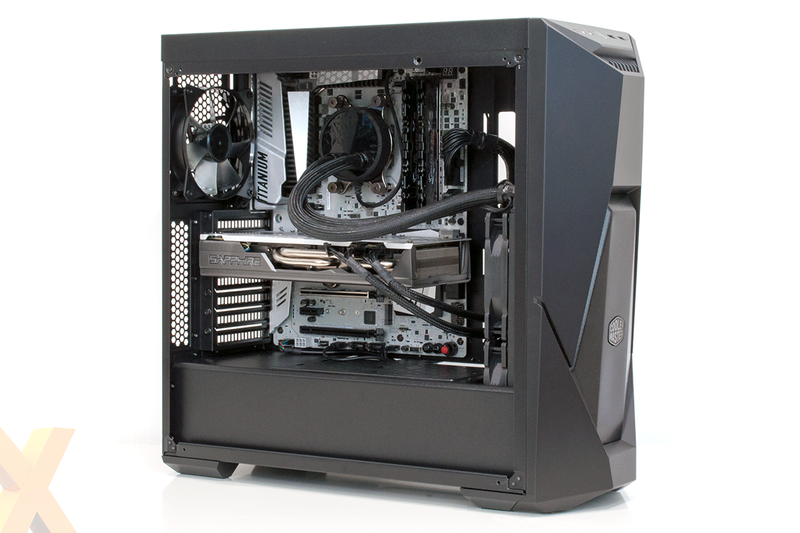 The caveat to those locations is that the top of the chassis is cramped with a motherboard in situ, so for liquid cooling you're looking at either a 120 rad in the back, or a 240/280 up front. 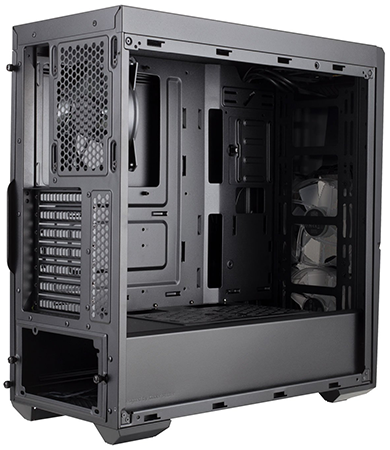 Rounding out the specification are two 3.5in drive bays located in a cage toward the end of the PSU bay, a single 2.5in SSD tray, and seven expansion slots. Graphics cards can measure up to 400mm in length, while a CPU heatsink can stand at up to 160mm tall, and there's around 20mm of space behind the motherboard tray. Nothing out of the ordinary, and Cooler Master keeps it relatively simple in the I/O department by flanking the backlit power button with reset and audio jacks on the left and dual USB 3.0 ports on the right. 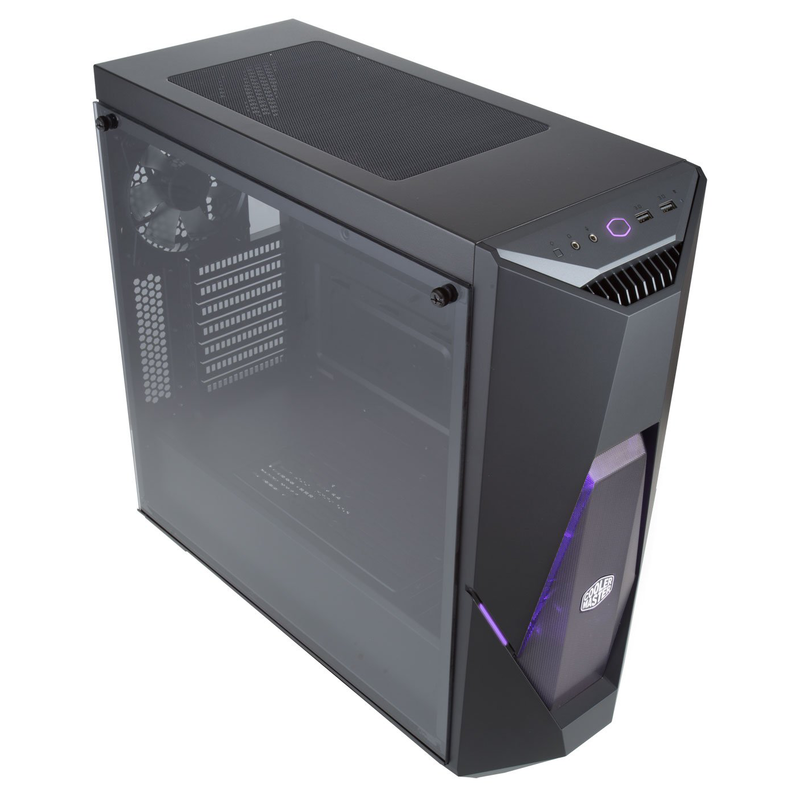 A tidy case for a quick and painless build? Perhaps, though we did come across a few niggles while installing our test platform. Removing the front panel isn't straightforward as you need to disconnect the cabling for the RGB zones, the mesh filter beneath the PSU is merely a small sheet that can't be accessed without lifting the case, the provided screws are all lumped together in one bag, and while we're nitpicking, we'd liked to have seen rubber grommets on the two primary cable-routing holes. These are all minor issues, and most are to be expected in a sub-£75 case, yet our biggest gripe is the way in which the RGB fans are cabled. 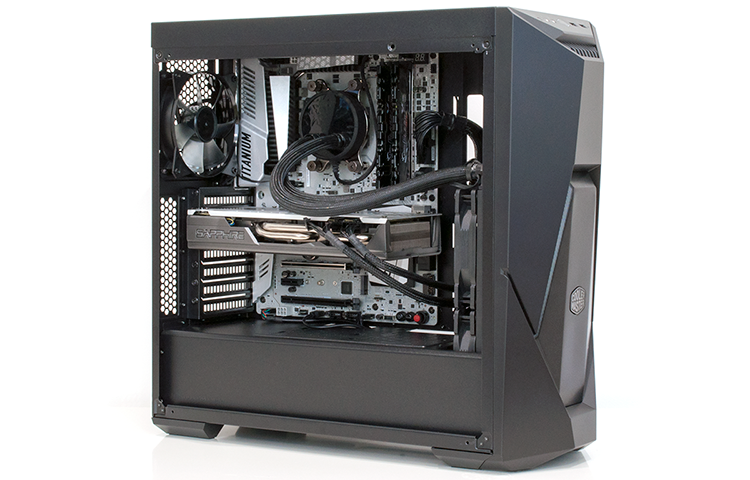 Each is equipped with a three-pin connector that Cooler Master has attached to a three-way Molex splitter that sources power from your PSU. Having the fans connected this way results in no speed modulation - they run at full blast at all times, resulting in higher noise levels - and the fan cables are too short to reach our motherboard headers, so there's no easy way to reconfigure things. 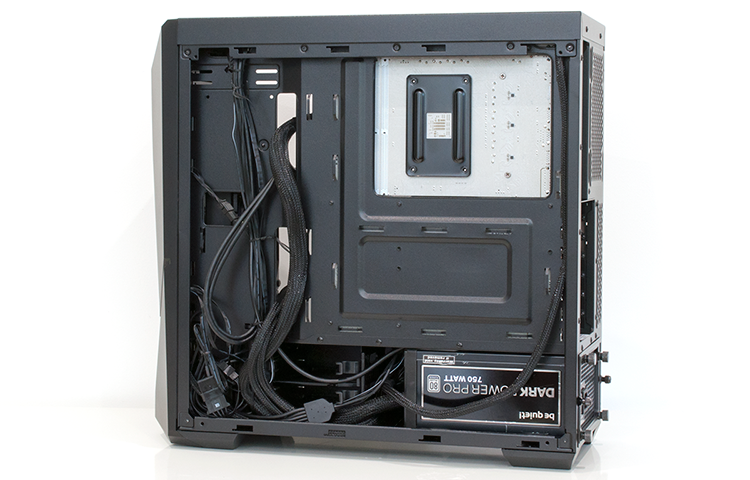 There's also a fair amount of cabling to contend with, as the RGB fans and front-panel strips each carry a four-pin lighting header that attaches to a four-way splitter. This can be plugged-in to a compatible motherboard for software-based support, but if your motherboard lacks RGB headers, fear not, there is a SATA-powered controller included in the bundle that can be used to cycle through colours at the press of a button. Question is, are the RGB fans worth the extra cables and inevitable price premium? We're not convinced, and if you aren't either, it's worth knowing about the K500L; a £55 sibling that trades the multi-colour fans for standard red variants, while keeping all the core features intact.